Since the dawn of this new millennium an outstanding number of Japanese Character creators have emerged whose primary medium of expression is Japanese Vinyl. 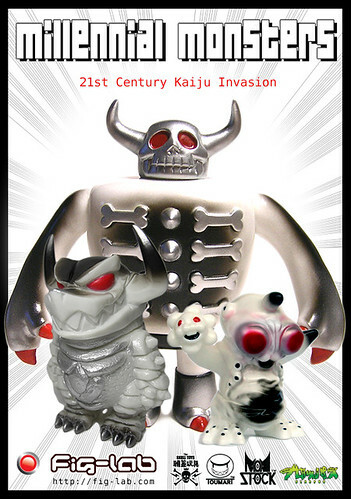 The Japanese vinyl figure has a 40 year legacy which attests to its integrity and durability as an artistic medium. In our on-demand fast turnaround post-modern world, the means of production have been made available to independent artists who can now create smaller runs than demanded by the tool and die mentality of the previous century. This further evidenced by the increasing number of creators worldwide who crossing over from the mass produced milieu of the factory back to the province of the craftsmen of Japan’s vinyl trade.